One of the world’s most celebrated biologists, Jennifer Doudna is not easily rattled. But she was struggling to process what she had just heard. Moments before, she met with the researcher whose bombshell had shaken the world of medicine like nothing since the birth of the first test tube baby 40 years earlier. As she walked up from the lobby of Hong Kong’s Le Méridien Cyberport hotel, the University of California, Berkeley, biochemist was shaking her head … as if that would jostle her thoughts into a place where everything made sense again. It was the last Monday in November, the day news broke that a little-known scientist in China named He Jiankui claimed he had created what instantly became known as the world’s first “CRISPR babies”: twin girls who came into existence as IVF embryos and whose genomes had been changed by the revolutionary DNA editor called CRISPR. It was something everyone in the burgeoning, multibillion-dollar field of genome editing knew would come one day, but which nevertheless shook even experts with its timing, its secrecy, and PR trappings that made the rollout of Beyonce’s “Lemonade” look amateurish. 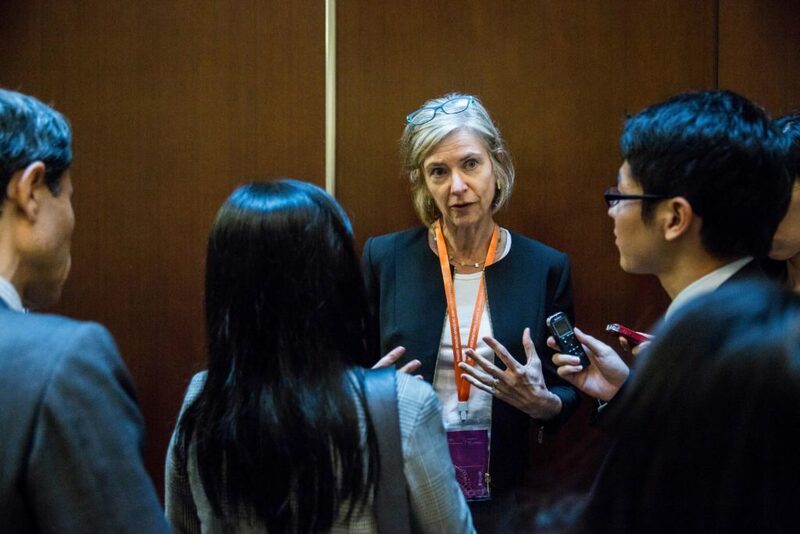 Doudna, who co-led a 2012 study showing that a weird bacterial immune system called CRISPR could edit DNA as niftily as Word edits documents, and hundreds of other experts were in Hong Kong for the International Human Genome Editing Summit. He Jiankui, who was scheduled to speak at the summit on Wednesday, had asked to meet privately with Doudna, one of the summit’s organizers. In his presentation, He had planned to talk about the ethics of embryo editing and his experiments on mouse, monkey, and human embryos, with nary a hint that two of those embryos were now living, breathing, baby girls whom He, in an astonishing YouTube birth announcement, called Nana and Lulu. Was that okay?, he asked Doudna as they sat in the lobby. Um, Doudna replied, you’ve dropped this shocking news on the world, right before our summit, and you’re not planning to mention it? He seemed surprised that she expected him to but agreed to have dinner with her and other members of the summit organizing committee that evening to talk it out. “His demeanor was an odd combination of hubris and naivete,” she recalled in an interview. “He was very confident in his work, and totally not understanding what an explosion he had caused” — one that, some scientists feared, could derail hopes for using CRISPR to prevent some of the most devastating diseases lurking in the double helix. In the three weeks since the remarkable announcement about Nana and Lulu, STAT has pieced together the story of the years leading up to that fateful Monday. With details reported for the first time, it describes the many times He met with and spoke before some of the world’s leading genome-editing experts, the low opinion they had of his research, and the hints he dropped about his grandiose aspirations. It is based on interviews in Hong Kong and with experts on four continents, with scientists and others who have crossed paths with He, as well as on documents and published accounts. He did not reply to requests for an interview. The tensions between He and Doudna and other scientists came to a head that night in Hong Kong. But it was the culmination of acts marked by crowning ambition that others had seen in him for years. He, whose lab is at Southern (sometimes translated “South”) University of Science and Technology in the tech-booming city of Shenzhen, had sought to insert himself into the CRISPR elite. But they viewed his science as second-rate. He had hours-long discussions with a leading bioethicist who warned him against creating “CRISPR babies” — yet never revealed that the discussion was far more than academic. He confided in at least two U.S. scientists about his plan, but ignored their arguments that he was making a potentially disastrous mistake. He studied recommended ethical guidelines for embryo editing — but flouted them. He claimed he had been transparent about working toward pregnancies with CRISPR’d embryos — yet never breathed a word about those plans in his talks at science meetings and stalled for months before listing his experiment on an official Chinese registry of clinical trials. For a driven and fame-seeking scientist who had set his star on changing the world, heeding doubters and sticklers wasn’t part of the plan. He believed he would be hailed for his scientific first, especially in his homeland, as someone who did for China what the Sputnik engineers did for the old Soviet Union. In conversations with scientists and others, he brought up Dr. Robert Edwards, part of the team who created the world’s first test tube baby, won the 2010 Nobel prize for it, and brought joy to millions of otherwise infertile couples. No wonder He seemed stunned that Monday, as worldwide condemnation of his work grew and even the stars of the CRISPR firmament weren’t applauding him. Over the hastily arranged Cantonese buffet dinner at Le Méridien, Doudna and three other summit organizers peppered him with technical questions (How many embryos did you try to edit with CRISPR? How many succeeded? How did you decide which embryos to implant? What tests did you run to see if the editing worked as planned?) and challenged the ethics of the experiment (Why did you pick the gene CCR5, which is involved in HIV infection, to edit? Did the parents understand the risks to their potential child? How do you know?). After just over an hour, He had enough, participants told STAT. He pulled some cash out of his pocket, threw it on the table, and stormed off. Fearful of his safety, he left the Méridien and checked into another hotel. His dinner companions were left wondering if he would even show up for his scheduled talk at the summit on Wednesday. In retrospect, He had been hiding in plain sight. Although he has been a shooting star in Chinese science for about five years, ever since he returned to the country of his birth after graduate and postdoctoral stints in the U.S., he is not an alumnus of any of the world’s leading CRISPR labs. He had written no important CRISPR papers before his shocking announcement. (He still hasn’t: The CRISPR babies experiment remains unpublished, and a study editing mouse, monkey, and human embryos without starting pregnancies has been rejected.) He was on no one’s radar screen. He tried to make up for it. In April 2016, he wrote to Feng Zhang of the Broad Institute of MIT and Harvard. 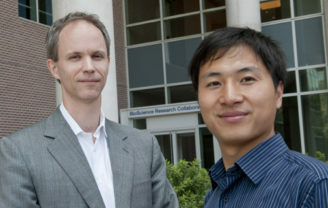 After Doudna’s 2012 study showing that CRISPR can edit DNA in a test tube, Zhang and his colleagues got it to do so inside living cells, including human cells growing in a lab dish. That made him one of the world’s best-known CRISPR scientists. He identified himself as CEO of a Shenzhen-based DNA sequencing company called Direct Genomics and requested a tour of Zhang’s lab in Cambridge, Mass. The visit never happened. But He kept trying to make CRISPR connections. In late 2016, on a trip to the Bay Area, He emailed biologist Mark DeWitt of Berkeley’s Innovative Genomics Institute. Could DeWitt meet for coffee? They did, laying the groundwork for months of discussions. Then He aimed higher, contacting Doudna “out of the blue,” she said. He would be in the Bay Area in early 2017, he said; perhaps they could meet. The email landed at an opportune time. Doudna and Stanford bioethicist William Hurlbut had just received a grant of more than $215,000 from the Templeton Foundation to study “The Challenge and Opportunity of Gene Editing: a Project for Reflection, Deliberation, and Education.” To kick it off, they were holding a workshop at Berkeley for nearly 20 scientists, ethicists, and historians in January 2017. None, Doudna realized, were from outside the U.S.
Maybe we should invite him, Doudna proposed to Hurlbut. They did. He came. On the workshop’s second day, in a session called “Evolution and Human Development,” He presented work on using CRISPR to edit mouse, monkey, and human embryos (without pregnancies). His talk did not leave much of an impression, “and I don’t think it was received very well,” Doudna said. That was partly because He was, in a sense, two years late. In 2015, scientists at Sun Yat-sen University in Guangzhou used CRISPR to edit the gene whose abnormality causes the often-fatal blood disease beta thalassemia. Their experiment, which also sent shock waves around the world, used nonviable IVF embryos. He, too, was using nonviable embryos. It didn’t seem like he was moving the science forward. Worse, another attendee recalled, scientists said He’s “science was sloppy and the application unnecessary.” One biologist challenged He on technical details of his work, especially how he analyzed the edited genomes for the unintended edits called off-target effects, a critical safety concern. To CRISPR’s leaders, “He wasn’t seen as a major player,” Doudna said. Having published no papers on CRISPR editing didn’t help; neither did presenting research that didn’t seem to move beyond what others had reported. Nor did his academic pedigree. He, 34, grew up the son of rice farmers in an impoverished county in Hunan province, in southeastern China. According to Chinese media reports, he built a simple lab at home and in high school became obsessed with physics, earning an undergraduate degree in that discipline from the respected University of Science and Technology of China, in Hefei, in 2006. Flush with a scholarship to study in the U.S., he began pursuing a Ph.D. in physics and astronomy at Rice University. According to a 2010 article from the Rice news office, it was the only graduate school that accepted him. The news office quoted Deem as calling He “a very high-impact student,” adding, “I am sure he will be highly successful in his career.” Eight years later, Deem was in He’s lab in China for work that would indeed make an impact, though perhaps not the kind he had in mind. China also had its eye on He. In April 2011, the city of Shenzhen, across the border from Hong Kong, launched its “Peacock Program” to attract scientists, setting them up in spanking-new labs and staking them to generous research budgets and salaries. He was a peacock. After Stanford, He became, at age 28, the youngest associate professor at the city’s Southern University. His focus: gene sequencing. Academia was too small a playground. 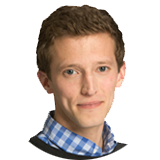 In 2012, He founded Direct Genomics, which builds DNA-sequencing machines based on technology Quake developed. Its “GenoCare Analyzer,” for clinical diagnostics, reached the market last year, only the second Chinese-made sequencer in commercial use. “We’re a new generation of entrepreneurs,” He told a reporter in 2015. Government health officials, he said, “really hope our Chinese brand could be used in hospitals.” By 2017, Direct Genomics would raise 200 million yuan ($30 million) from investors and 40 million yuan in subsidies from the Peacock Program. Although He failed to wow the high-powered attendees at the Berkeley workshop, he was bold about asking for advice. That winter He and DeWitt communicated several times, with He asking about the best way to analyze edited genomes for unintended, off-target alterations. But now something new entered the discussions. He told DeWitt he was planning to start pregnancies with CRISPR’d human embryos. DeWitt was aghast, he told STAT, and argued that there was no justification for such an experiment. The technology simply wasn’t ready to use on babies-to-be. The Berkeley workshop opened another door for He. He struck up a friendship with Hurlbut, and over the last two years had “several long conversations, like four or five hours long, about science and ethics,” Hurlbut said. He went to the Bay Area with some frequency, and made his goal clear. “I knew where he was heading,” Hurlbut said. “I tried to give him a sense of the practical and moral implications,” including ethical objections to research on human embryos. He pushed back; wasn’t it only a fringe group in the U.S. that adamantly opposes that?, he asked; if CRISPR can be used to prevent a dreaded genetic disorder in a baby who would otherwise inherit it, why should we hold a one-cell embryo in the same ethical regard as a suffering child? In July 2017 He gave an updated version of his Berkeley talk, at a meeting on “Genome Engineering: The CRISPR-Cas Revolution” at Cold Spring Harbor Laboratory on New York’s Long Island. The data from his experiments in mouse, monkey, and human embryos included ways to improve CRISPR’s efficiency and measurements of its accuracy. He had injected CRISPR into the first human embryo, he said, on Nov. 10, 2016, doing two or three each month (though four that December). He reminded his audience of the many ways embryo editing could fail, including off-target edits and mosaicism (when only some of an organism’s cells are edited, creating a genetic patchwork with unknown implications for health). Continuing in a cautionary vein, He concluded with the tragic case of Jesse Gelsinger, whose 1999 death in a gene therapy clinical trial set that field back years. That, He said, should be a warning to anyone hoping to turn CRISPR into a tool of medicine. As at Berkeley, the talk left scientists unimpressed. “It just didn’t stand out,” said Doudna, who co-organized the meeting. In the room they shared, He and Haeussler talked shop, including how to detect off-target edits and how deeply He probed to find any. One red flag was that He was doing what’s called “short read sequencing,” meaning he sequenced short segments of DNA. That can miss big rearrangements along a chromosome. It’s similar to proofreading a document a sentence or two at a time. You’ll find garbles like, “Once time upon,” but not grossly out-of-place passages such as Cinderella losing her glass slipper before she goes to the prince’s ball. Later, in Hong Kong, He would say that large scrambles like that are not a big problem if there is no important gene nearby. He did not breathe a word of any plans to establish CRISPR pregnancies. That was about to change. Two months after the Cold Spring Harbor meeting, Berkeley’s DeWitt had received a stunning email from He: The Chinese scientist planned to conduct a clinical trial creating the first genome-edited children, the soon-to-be “CRISPR babies.” He was enrolling patients, He told DeWitt, and had received ethics committee approval. Yet in apparent violation of Chinese regulations, He did not list the trial on China’s official trials registry until Nov. 8, 2018, which is thought to be the birthdate of Nana and Lulu. DeWitt didn’t know what to do with this information. Since He asked for confidentiality, “I let it be,” DeWitt said. He was back in Berkeley in January of this year, meeting DeWitt for dinner and reporting that his trial was on track. Since Nana and Lulu were born in the second week of November, He was about a month away from starting that pregnancy. DeWitt again tried to dissuade him, he said. The number of those in the know was growing. Also in January, He emailed Dr. Matthew Porteus of Stanford, whom he had met at the Berkeley workshop a year before and who is trying to develop CRISPR into a treatment for blood diseases such as sickle cell (in children and adults, not embryos). 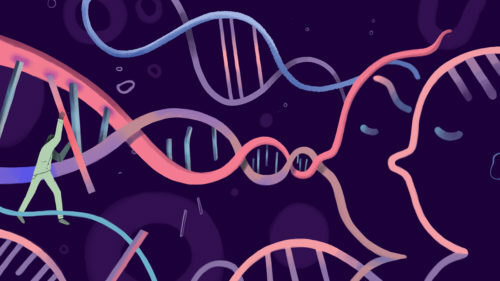 In contrast to embryo editing, which alters heritable DNA and is passed on to descendants, this kind of “somatic genome editing” is much less controversial: It alters only targeted cells, making changes that go no further than the patient. He asked if Porteus could meet the following month. One evening in February, Porteus ushered He into his Stanford office. The Chinese scientist began describing his experiments using CRISPR to edit monkey embryos, mentioning that he’d tried to start pregnancies but without success. No matter, He said: He had ethics-board approval for a clinical trial and was planning to move forward. Porteus was blindsided and angry, but also perplexed: he knew He was in frequent communication with his Stanford colleague Hurlbut, and was shocked that those conversations apparently had no effect. “I strongly rebuked him for even considering this,” Porteus recalled, adding that he told He to stop an experiment that could threaten the whole field of genome editing for disease treatment and prevention. Porteus was especially concerned about the gene He intended to edit: CCR5. It makes a protein that acts as a portal by which HIV, the AIDS virus, enters cells. 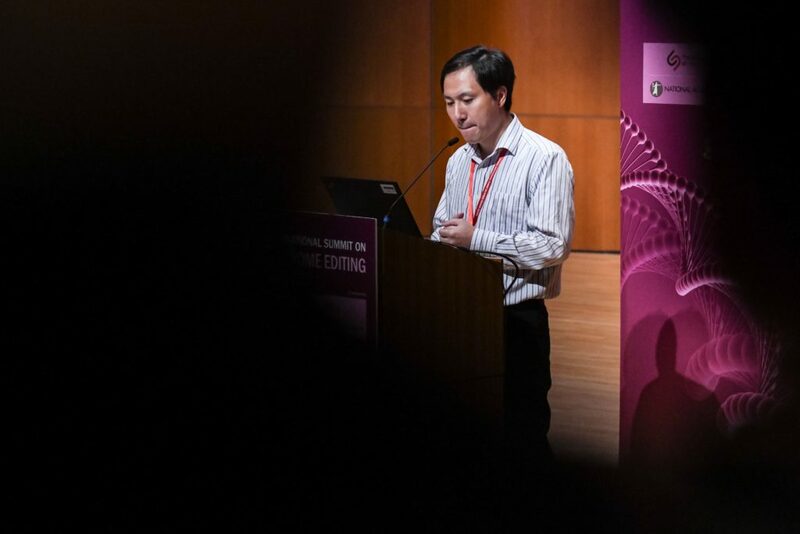 The medical rationale for trying to disable CCR5 was insufficient to edit it in an embryo, Porteus told He; to do so would threaten clinical use of CRISPR. Porteus also argued that He’s experiment didn’t come close to meeting the requirements for germline editing set out by a 2017 National Academies of Science report, such as rigorous assurance of safety and lengthy testing on lab animals. Later, He cited the report as a rationale for moving forward with the pregnancies. Porteus thought he had dissuaded He, and didn’t hear from him again until the eve of the Hong Kong summit. But if Nana and Lulu were born the second week of November, the pregnancy was just underway, or about to be, as He and Porteus sat talking. It would later emerge, initially from an Associated Press story and later from He’s summit talk, that he and his colleagues had enrolled eight couples in which the man is HIV-positive and the woman is not. After injecting a single sperm into an egg, the scientists injected their CRISPR molecules: a guide RNA that bloodhounded its way to CCR5 plus an enzyme that slashed the gene. In all, they injected 31 embryos, succeeding with 21. Analyses of cells when the embryos were 3 to 5 days old revealed a mishmash of edits. None replicated the CCR5 mutation known to protect against HIV. With the parents’ permission (He said they understood the genetic niceties), He implanted 11 of them anyway. He also spoke to Stanford’s Hurlbut that February, but did not tell him explicitly that he had started a pregnancy. Hurlbut nevertheless suspected that was He’s plan, and is puzzled about why He told others but not him. “I was advising him a very gentle sort of way because I wanted to keep the conversations going,” Hurlbut said. “But I told him, JK, you need to be careful. You have a bright future. You have a new baby. You could be humiliated by this” — where “this” meant an experiment that would bring the wrath of the scientific community, and possibly Chinese officials, down on him. Like Porteus, Hurlbut wondered about targeting CCR5. Because AIDS is preventable and treatable, many scholars argue, it does not meet the threshold of “serious, unmet medical need” that would justify embryo editing. Only diseases like Huntington’s, Tay-Sachs, cystic fibrosis, and perhaps familial Alzheimer’s clear that bar. He disagreed. He had been deeply moved by a visit he made to an “AIDS village” in China, with HIV-positive rates of 30 percent. In his country, he told Hurlbut, AIDS patients face enormous stigma and prejudice, struggling to find jobs, spouses, even housing. If someone with HIV wants to spare his or her child from the same misery, and if CRISPR’ing CCR5 can turn it into a form that blocks HIV infection, why is that any less justified than editing the Huntington’s gene? In addition to what Hurlbut calls “a very earnest motivation to move the science forward,” something else was driving He. In more and more of his conversations, he was bringing up Edwards, the test tube baby doctor. People who spoke to He this year recall him as “grandiose,” convinced he was about to accomplish something for the history books. The organizers of the Hong Kong summit knew nothing of the preparations for the PR onslaught. As they assembled their list of speakers, He wasn’t on it. By springtime, He and others in his lab were presenting more of their work on embryo editing, again without mentioning pregnancies, to scientific conferences. At a genome-editing meeting in Suzhou organized by Cold Spring Harbor’s Asia unit, graduate student Feifei Cheng reported research using CRISPR to edit the heart-disease gene PCSK9 in human embryos. Again, it attracted little notice. At their last planning meeting, in October in Santa Monica, Calif., the organizers of the Hong Kong summit were finalizing their list of invited speakers. They were concerned that few were from Asia, said committee member Robin Lovell-Badge of London’s Francis Crick Institute. He’s name came up the first evening, over pre-dinner drinks. “The context was the rumor that had been going around for a few months that He had received local ethical committee approval” to start pregnancies with genome-edited embryos, Lovell-Badge said. When the committee began formal discussions the next day, Lovell-Badge raised the possibility of inviting He to speak in the session on embryo editing. “It was well-known that he had been conducting relevant research using mice, non-human primates and … [human] embryos in culture,” Lovell-Badge said. The committee discussed the quality of He’s research and his plans to start pregnancies. “We all thought this was far too premature,” Lovell-Badge said, but “it was felt that the summit was an opportunity to bring him into line”: that immersing He in discussions of ethics and safety for three days “would curtail any plans he had” for pregnancies. He accepted the invitation immediately. Lovell-Badge received He’s slides on Oct. 31. They expounded such ethical principles as “mercy for the needy,” genome editing “only for disease, not for vanity,” and “everyone deserves freedom from genetic disease.” There was nothing about pregnancies. The organizers, flying to Hong Kong from three continents, trickled into Le Méridien on Telegraph Bay on the weekend before the summit. 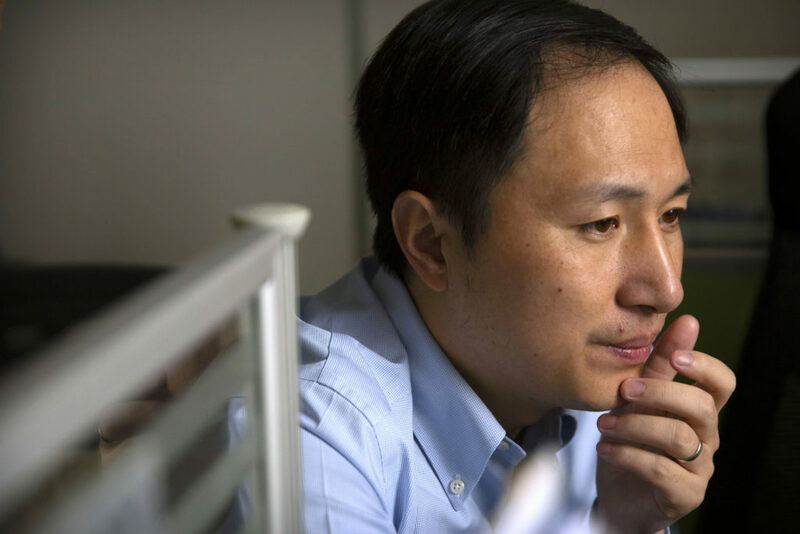 By Saturday, news of the “CRISPR babies” was filtering out: A reporter at MIT’s Technology Review found the listing that He had entered in China’s clinical trials registry, explaining his plan to start pregnancies with CRISPR’d IVF embryos. The magazine’s story on He’s plans — but not the births — ran on the evening of Nov. 25 in the U.S., just after 8 a.m. Monday in Hong Kong. About two hours later, the Associated Press, which had interviewed and filmed He for months after being tipped off by He’s public relations adviser in April to the pregnancy, scrambled to run its story, including news of the births. He arrived at the hotel on Monday, after an hour-plus drive from Shenzhen with a colleague. After dashing across town for a 3:30 press conference, where they mostly begged off on commenting about He’s unverified claim, several of the organizers made the return trip to the hotel — and, for some of them, dinner with He in the hotel’s Nam Fong restaurant. Over the Cantonese buffet, Charo fired questions at He, focusing on the bioethics of his experiment: how he recruited families, what he told them, why he chose CCR5. He opened his laptop and showed a spreadsheet, but it was in Chinese, leaving the scientists hardly better informed about key details. Asked why he had kept his experiment a secret, He said he had presented his work at science meetings. But he had never said he was going to establish pregnancies, and seemed not to understand why that was such a great leap beyond the embryo experiments he did talk about. He also spoke of Edwards, the test tube baby pioneer, with starry-eyed admiration. “He seemed to think that what he had done would vault him into the scientific pantheon, too,” Charo said. “He was just oblivious” to the fact that scientists and others around the world greeted his announcement with horror. But he also feared for his safety, showing his dinner companions what he called a threatening message on his phone, and worried that reporters would find him. Nervous and scared, He stormed off. The organizers were left wondering, would He show up for his summit talk two days later? The 500-plus people packing the standing-room-only auditorium at Hong Kong University on Wednesday wondered the same thing. Security men with earpieces crisscrossed the front of the room. Camera crews crowded the periphery. When Lovell-Badge introduced He, there were several anxious seconds before he emerged through a side door and took the stage. He whipped through his 59 slides so quickly that it was only later, when they had a chance to scrutinize them, that scientists grasped how flawed the research was; He had introduced mutations into the girls with unknown consequences and that might not even protect against HIV. After the presentation, Porteus and Lovell-Badge joined He on stage for an awkward Q&A. Porteus aimed to get specific answers to simple questions: How many embryos have you tried to modify? How accurate were the modifications? But He was cagey. Only after Porteus, who looked as if he wanted to be anywhere but there, circled back did He acknowledge a second, very early pregnancy. At first, He got the plaudits he expected. In China, the initial reaction was laudatory, emphasizing that this scientific first belonged to the Middle Kingdom. The government-backed People’s Daily treated He’s experiment as a “milestone accomplishment China has achieved,” Otago’s Nie wrote. That attitude quickly flipped. The People’s Daily story was almost immediately pulled down. More than 100 Chinese scientists issued an open letter condemning He’s experiment. By Thursday, Chinese officials said they had halted the research and were investigating. Scientists called for independent verification of He’s (still unproved) claims. The reverberations quickly traveled more than 8,000 miles to the leafy campus of Rice in Houston. Deem, the AP had reported, was deeply involved in He’s experiment, including being present when parents gave consent to have their embryos CRISPR’d. Deem is also a co-author on a paper He tried to publish that described additional CRISPR experiments in early embryos, but without establishing a pregnancy. That Monday morning, Deem was accompanied into his students’ office area by Yousif Shamoo, Rice’s vice provost for research, according to someone with direct knowledge of the events. They told his graduate students and postdocs to turn over their files and research records as part of a university investigation into Deem’s role in the project. Although people at Rice and former students of Deem knew he had some research collaborations in China (Deem and He had co-authored at least three papers since 2016), his graduate students and fellows were shocked when they read about Deem’s involvement in He’s experiment. For one thing, in his lab at Rice Deem does not even do “wet biology,” meaning experiments with living cells or biochemicals, let alone clinical research. The school said it had no knowledge of the work. In a statement last week, attorneys for Deem said, “Michael does not do human research, and he did not do human research on this project.” They did not respond to questions about what AP reported. Scientists and others who have spoken to or emailed He, who has been on leave from his university since February, say he remains upbeat. He expresses confidence he will be vindicated both by the official investigations and by history. Thanks for the fantastic article. I’m wondering about the women who bore these pregnancies – their voices seem to be missing here and it would be really interesting to uncover their thoughts on this, their understanding of what was happening and what will happen with their children.